﻿ Bahay Bakasyunan Sa Camiguin Resort (Philippines) | FROM $94 - SAVE ON AGODA! "Overall, we had a good stay in Bahay Bakasyunan." 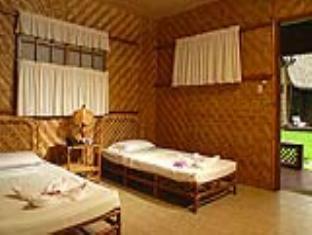 Have a question for Bahay Bakasyunan Sa Camiguin Resort? "It was a quiet resort so it's perfect for rest and relaxation." Travelers seeking the ideal escape will surely consider the tropical island of Camiguin in the Philippines. This extra cozy venue resides on the northern coast of the island. Offering a selection of room accommodations along with a full list of leisure activities to enjoy, there is more than enough entertainment to suit guests of all ages. Be sure to unwind in their in-house spa and treat your taste buds to some of the local cuisines in the on-site restaurant. Giving the choices of a comfortable, relaxing experience and an exciting outdoor adventure, or even both, Bahay Bakasyunan Sa Camiguin Resort will undoubtedly create an unforgettable trip for all. Please note that the hotel offers airport transfers from Cagayan de Oro to Balingoan or Macabalan Ports, prior arrangement is strictly required. Please refer to below information. Ferry schedule (Balingoan to Benoni, Camiguin): 4:30 am to 3:00 pm daily; ferry leaves every hour. Subject to change without prior notice. From Benoni Port, Camiguin, a van to Bahay Bakasyunan can pick you up at PHP 600 per van (maximum capacity: 8 adults). All rates above are subject to change without prior notice. Please contact the resort for prior arrangement. Please note that only land transportation can be arranged by the resort. Please note that bringing of food and drinks is strictly prohibited. A cash security deposit of PHP 1,000 is required upon check-in for charges or damages during the stay and will be refunded upon departure. The food alone at the resto is worth staying at the hotel. The squid is so fresh we had it almost everyday. There were mosquitoes so bring insect repellent. Spa service is ok. Staff were helpful. Overall, we had a good stay in Bahay Bakasyunan. The staff was friendly and helpful. It was a quiet resort so it's perfect for rest and relaxation. There were only a few guests so we had the swimming pool to ourselves too. Points for improvement: Their bathroom needs to be upgraded already. 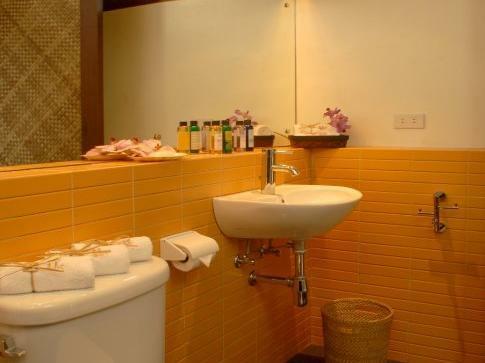 As a 4-star hotel, they should provide guests with basic toiletries like toothbrush, toothpaste, shaving kit, etc. The food was great. The service was great and the staff is so friendly. I love the pool and the nights there. The staff were very warm and cheery, the place is clean, locals know of the place. It was comfortable but since the owner and GM were out of the country, we never saw hide nor hair of the asst GM. She attended to the problem but never introduced herself. The front desk people had very little suggestions to make in terms of where to eat and what to do. They didn't seem to know much about the place. We discovered more places by asking at other resorts. It was as if they only wanted us to eat at their restaurant. With no one watching over the staff, the staff turned the place as if it was their playground. Front office people need to be better trained. 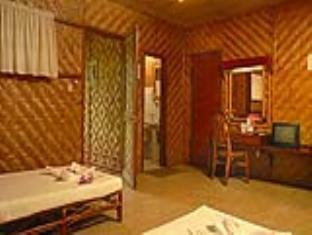 Very pleasant stay - upon checkin, i know that we have made a good choice by booking this hotel. The ambiance of the hotel is very relaxing. You'll want to go back to the resort early after activities in camiguin since you will definitely want to take advantage of the facilities of the resort - they serve good food, the pool is nice and clean, they have a gym, they offer spa services. The view is also very calming. You'll hear the waves of the ocean while relaxing in the cottages. This resort is definitely good value for your money. Very rude staff ( the information desk lady and front office )...restaurant food served uncooked and from the freezer...frozen buns...lousy service...unclean rooms/ never changed the bed sheets for 3 days...hotel rules very insulting to guests...room service not available 24 hrs....nor can you eat or drink in the facility after 10pm....what non sense to avail paying guests....over priced and very over rated. It has been a great experience in general. Will come back and stay here again. The resort is located less than 10 minutes drive from Camiguin Airport and 5 minutes from Mambajao, the major town on the island. The restaurant serves great local food, but be aware that some things on the list might not be available. 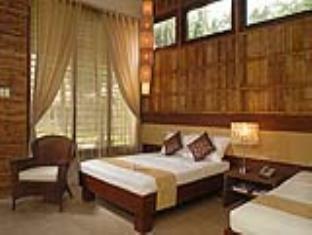 The rooms are great and and the stay was worth the money. No desk and desk lamp in the room although I asked for it in advance. Found some ants on the bed sheets. Should make a lot more efforts to keep the room clean.